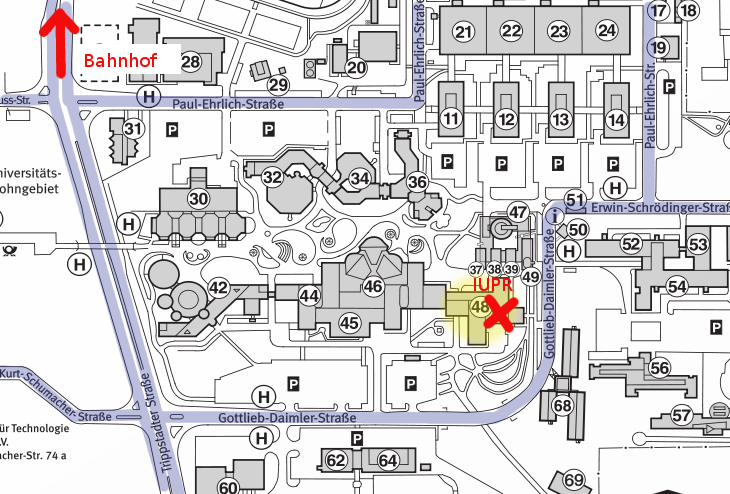 This map shows the approximate location of our research group, in Building 48. The map is interactive, so you can get directions from the railway station or by car. The train station ("Bahnhof") is towards the top of the map. North on this map is approximately to the left. Public roads are marked in blue. There is also a PDF Version.